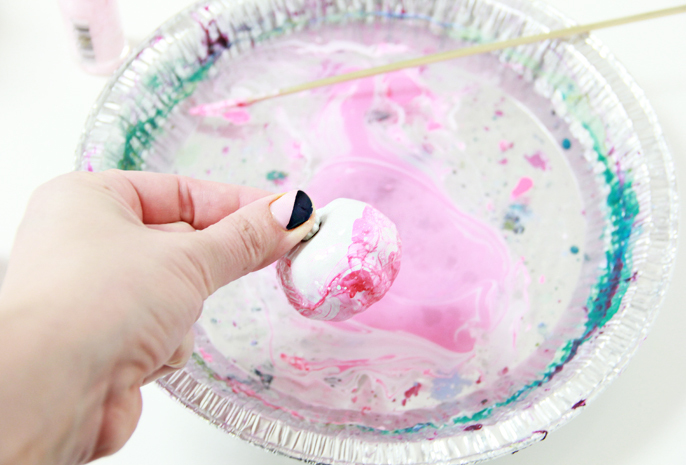 After I marbleized some makeup brushes with nail polish, I started a mission (in my diy notebook) to marbleize all the things! Fall is around the corner and time to start decorating with pumpkins and gourds. 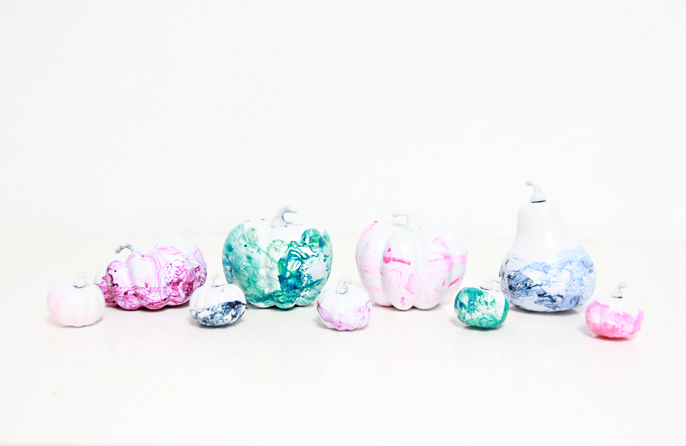 Traditional Fall colors are not really my thing, which is why 2 years ago I did pastel painted pumpkins and this year I give you nail polish marbleized pumpkins! 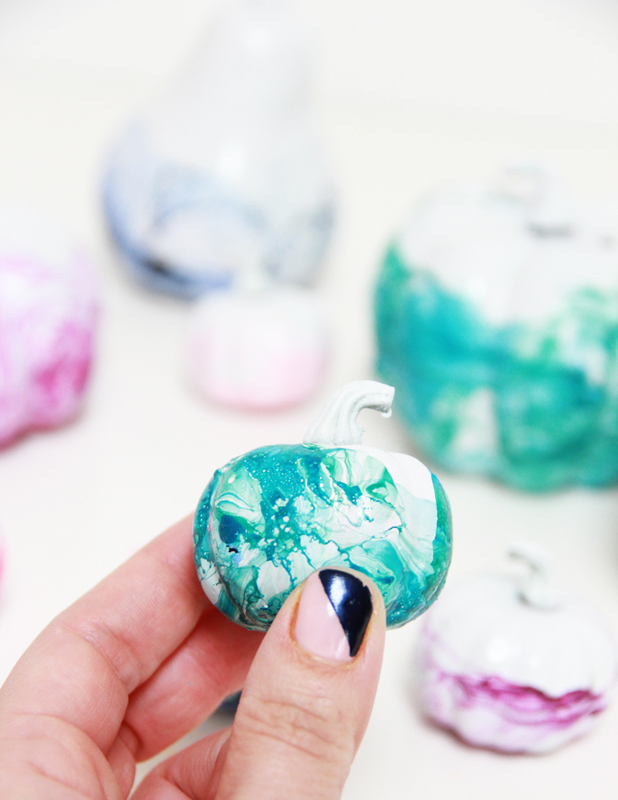 You can do so many different colors and make the pumpkin decor work for Halloween or Thanksgiving! These mini ones are my favorite! 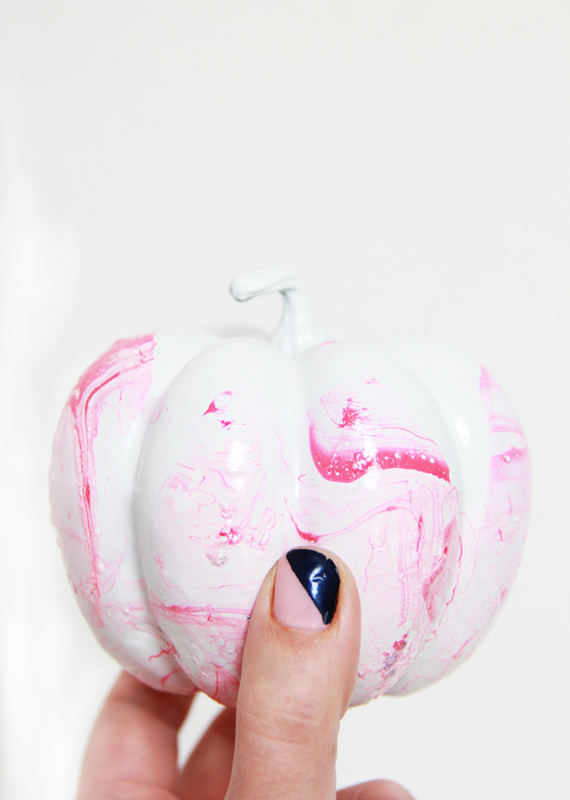 * I used two nail polishes from the same color family for each color pumpkin. 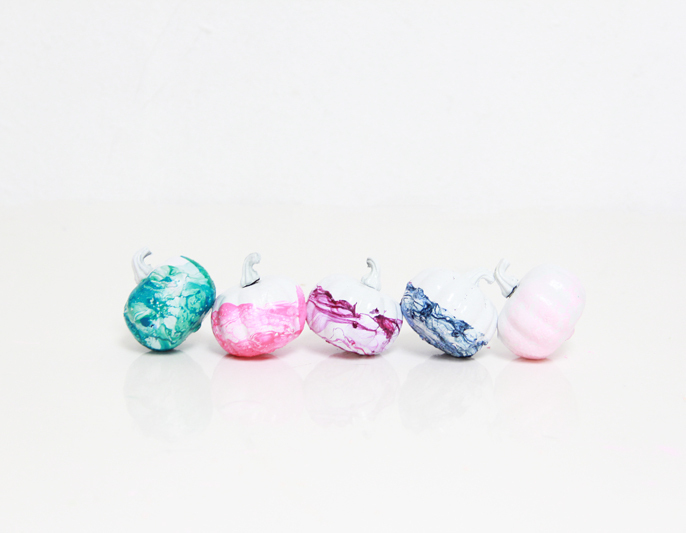 ** I purchased a bag of decorative pumpkins and gourds and spray painted white. 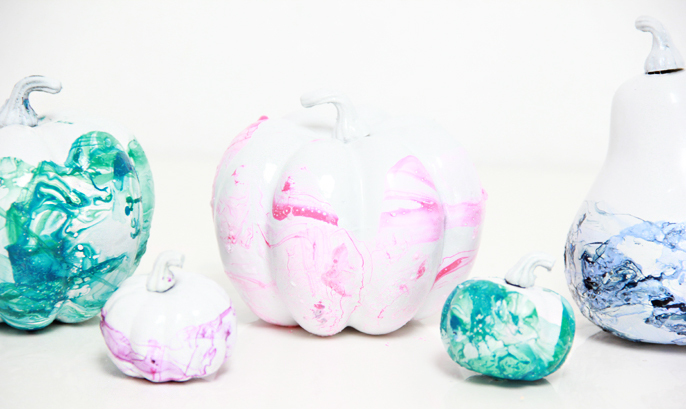 You can use real pumpkins and gourds as well. 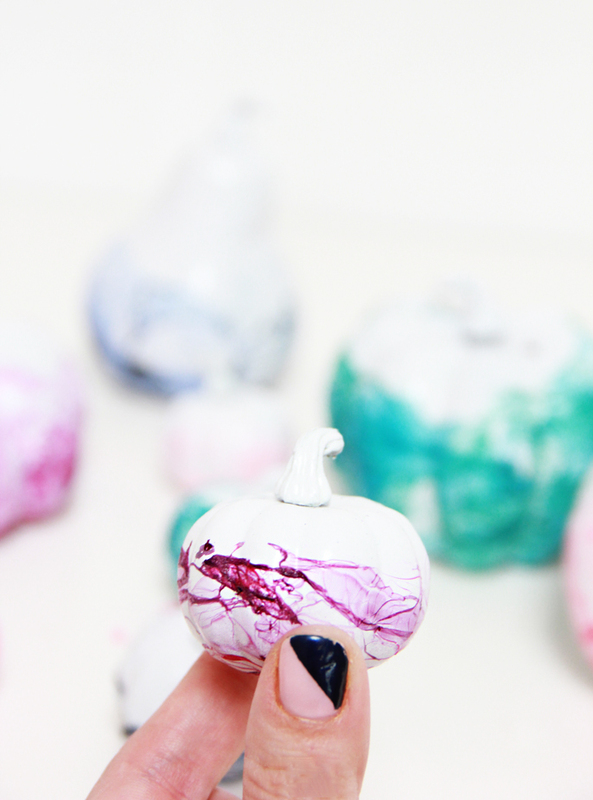 They last so much longer as decor when you do not cut into them and only decorate the outside of the pumpkin! 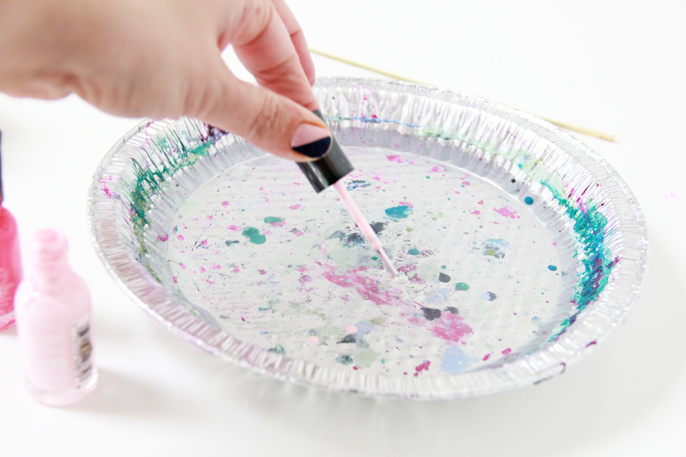 Fill your container with some warm water and add droplets of nail polish. 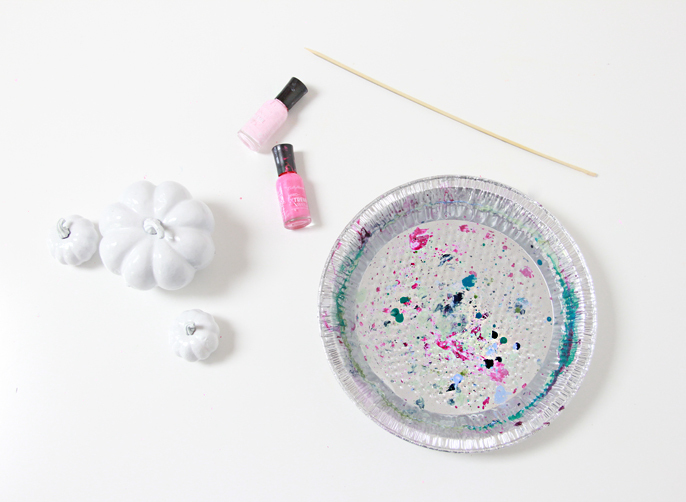 Dip pumpkin in and turn gradually to cover pumpkin with the color. Let dry. My daughter loves making them too. 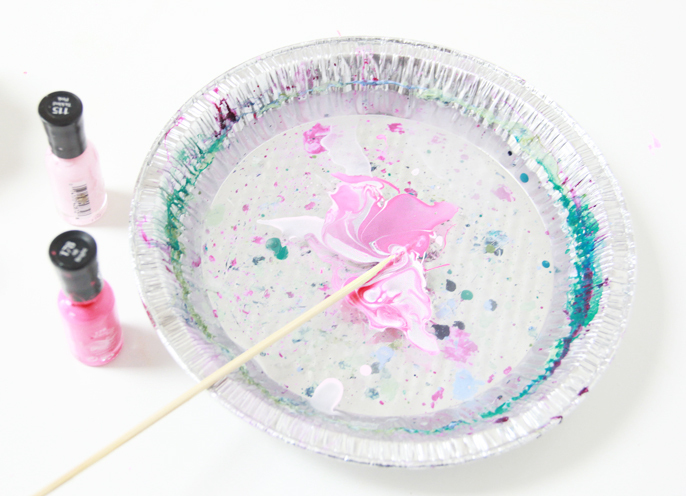 Keep in mind- nail polish fumes are strong- make sure you are in a well ventilated space! You knew there had to be an up close shot of the pink one. 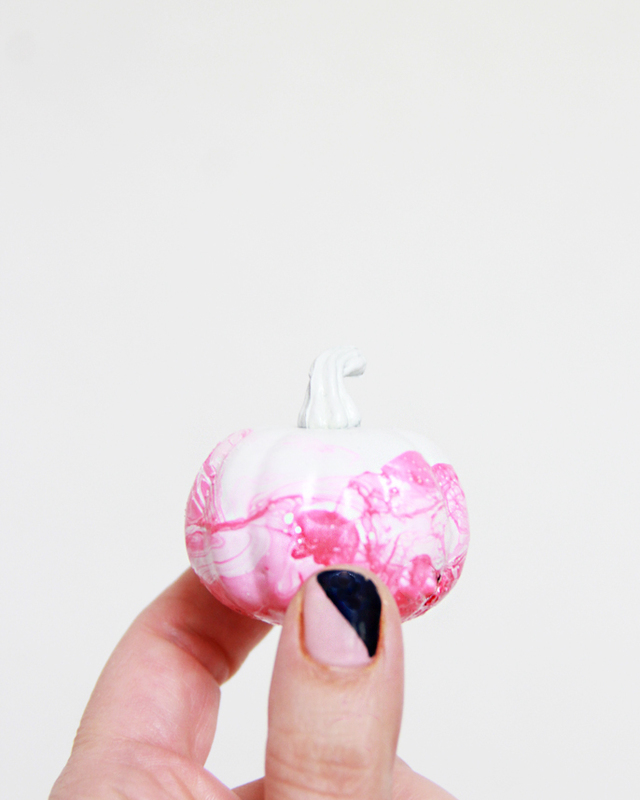 I am in love with the mini pumpkins. Make anything mini and I am all over it. Any chance you could share the polish shade numbers for the colors you used? I love the fuchsiaplum and blue grey color choices you selected! I am sorry, I dont recall the exact colors, but I mixed two to get the different shades! « Friday Link Love! Happy Weekend!